Released late in 2015, the Yamaha Revstar RS420 is relatively speaking, a new comer. Said to be inspired by vintage street-racing motorbikes, this guitar has a unique shape that looks familiar, without being just another clone of classic designs. And it's not just about looking unique and cool, because this guitar also sports some distinct tones, courtesy of its push-pull dry switch. Instead of merely splitting the coils of its humbuckers, Yamaha implemented built-in filters to morph the sound into single coil sounds that are hum-free. To keep the price reasonable, Yamaha went with nato for the body and the set-in neck, but they did add a maple top to the body, as well as a 24.75" scale rosewood neck. It comes with interesting finish options that include Maya Gold. Black Steel, Fire Red and Factory blue. Its new comer status did not stop it from receiving rave reviews from users who found the Yamaha Revstar RS420 to be extremely playable and pleasing to the eyes. 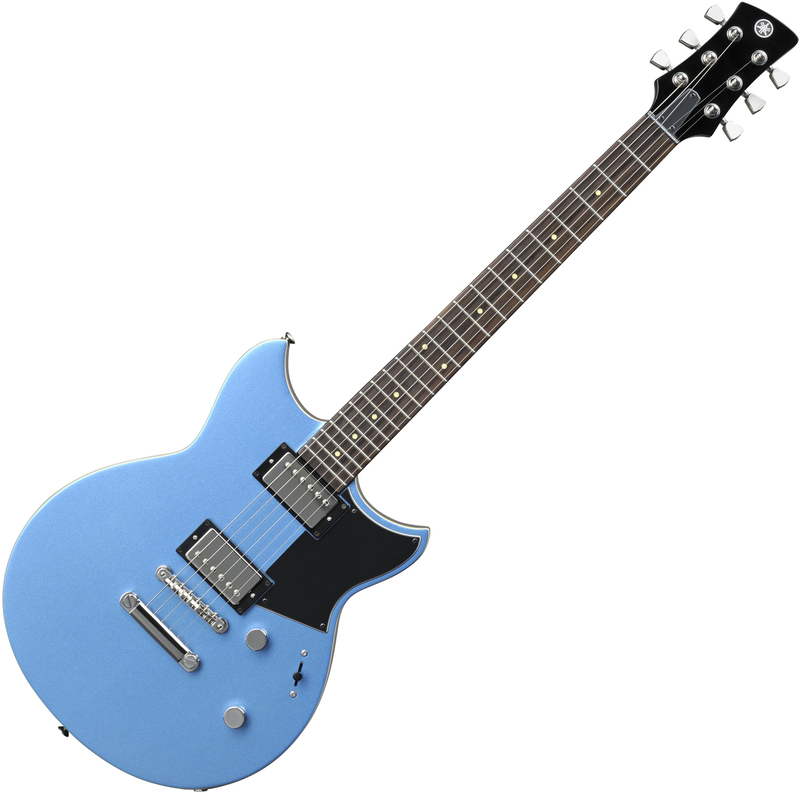 Most reviewers point to the guitar's unique appeal and build quality as its defining features, while others find the guitar's flexible tone to be their favorite. It has been reported to work well in various music styles, especially in modern rock, blues, jazz and even pop. Paint chips and minor finish issues are reported by a few users, other than that the comments point mostly to positive traits, even when the scores are a bit lower. Looking for a fresh looking guitar that has a familiar retro vibe? Then the Yamaha Revstar RS420 may tickle your fancies. The Revstar RS420 was on our recommended list until we performed a detailed review of solidbody guitars between $200 and $500 in March 2019. At that time we found there were more highly rated options with humbucking pickups to recommend and you can find them in our guide to The Best Electric Guitars Under $500.